Smith & Pemberton: "Compelled to Appear in Print: The Vicksburg Manuscript of General John C. Pemberton"
In 1995, General John C. Pemberton’s 178-page defense of his actions during the Vicksburg Campaign turned up at an estate sale in Ohio. The manuscript was a refutation of the charges brought against him by his superior, General Joseph E. Johnston, in Johnston’s 1874 book Narrative of Military Operations. In 1999, David M. Smith finished editing the manuscript for Ironclad Publishing and the book was released as Compelled to Appear in Print: The Vicksburg Manuscript of General John C. Pemberton. Smith does a great job of placing Pemberton’s manuscript in a proper context and provides a great deal of background information and analysis that greatly enhances the book's value. He begins by introducing the two Confederate leaders and outlining what Pemberton believed to be the eight charges leveled against him by Johnston in Johnston's Narrative. These charges involve several instances of disobedience of orders, including a failure to concentrate for battle and a determination to stand a siege rather than abandon Vicksburg to save the army. The manuscript itself is very interesting in content but an often laborious read as Pemberton's writing style is dreadfully plodding and disjointed. Helpfully, Smith provides the reader with well-placed excerpts from Johnston’s book so the reader can make a side-by-side comparison at key points in the manuscript. What some readers may be surprised to find is the fact that Pemberton makes a very credible defense of his actions during the early stages of the campaign (at least up until his disastrous decision-making immediately preceding Champion Hill). However, like most human beings, he doesn't take responsibility for any specific mistakes and joins Johnston in this regard. The manuscript does not include any significant new revelations but it is nonetheless an important historical document written by one of the commanders in defense of his actions during an important campaign. What is does serve to do (with the excellent assistance of editor Dave Smith) is confirm the absurdity of some of the charges leveled against Pemberton that seem to be continually accepted rather uncritically by subsequent readers and historians. In this regard, it rather reminds me of the treatment of George McClellan. Both Pemberton and McClellan were grudgingly given respect by their critics for their administrative abilities yet roundly condemned for their apparent lack of battlefield prowess. Additionally, the level of abuse heaped upon both men (both deserved and undeserved) has reached such a level of continual amplification that the men are permanently diminished in popular historical memory, immune to fair treatment. Well, nearly immune. I'm no great fan of McClellan--or Pemberton for that matter--, but as far as fair treatment goes, I think that Dave Smith in a small way has done for John C. Pemberton here what Ethan Rafuse (which reminds me that I need to read McClellan's War) and Russel Beatie have more recently done for McClellan. It's good to see. The story of the obviously important role that Fort Sumter-Charleston played in the secession crisis and the beginning of the shooting war has been told repeatedly and well by a number of well-respected authors. However, the somewhat similar situation that was taking place over in West Florida at Fort Pickens and Pensacola is usually pushed into the background although it could easily have provided the match that lit the powder keg. Pensacola During the Civil War: A Thorn in the Side of the Confederacy by George F. Pearce does a great job of recounting these events. The first half of the book takes the reader from the secessionist capture of the navy yard and Forts Barrancas and McRee through the long stalemate that prevailed between the those forces and the Federals holed up in Fort Pickens. The book's second half begins with the Confederate abandonment of Pensacola and traces the development of the Union use of the enclave as a key support element of the Gulf blockading squadrons. The late war Union cavalry raids north and west of Pensacola that served to damage already tenuous Confederate communications and also to support the land attack on Mobile are detailed here as well. Overall, this is an important study of the war's impact on the eastern Gulf coast region. When I lived in Nebraska in the mid 1990s it wasn't unusual to see the CW sections at Borders and Barnes & Noble stores stocked with hundreds of CW books, including many excellent and fresh but comparative obscure titles from smaller presses. This also was true to a lesser extent here on the west coast during that time. Take this forward to today and the story is dramatically different in the same bookstores I visit regularly in Washington, Oregon, and to a lesser extent northern California. Now, especially at B&N (Borders is a bit better), I typically find a few dozen titles at best, nearly all of which are from major publishing houses with time honored author names like McPherson, Sears, Foote, Catton, etc. etc. Online retailers (large and small) have certainly picked up the slack nicely for experienced readers, but it certainly is discouraging to think of novice readers browsing the aisles of these brick and mortar stores and only being exposed to such trite fare. Cotham: "Battle on the Bay: The Civil War Struggle for Galveston"
To me, the coastal cities of the South have fascinating wartime stories. On the military side, from blockade running to commando raids to desperate fullscale land assaults and ship-to-shore engagements, memorable episodes abound. They also seem to attract some of the most colorful characters and inventive individuals from both sides of the conflict. The citizens of these port cities also had to deal with the enormous economic and social problems that went along with their new found national prominence in a continental war, not the least of which was a constant fear of naval attack, bombardment, or amphibious assault. Edward Cotham Jr.'s Battle on the Bay: The Civil War Struggle for Galveston is one of the best (and best-written) of Civil War city studies. Contrary to what the title implies, this volume is actually a comprehensive social, political, and military history of the wartime experience of Galveston from the secession crisis through Reconstruction and reunion. There is a bit of something for everyone as the stories of private citizens, soldiers, privateers, blockaders and blockade runners are all told. Cotham provides interesting insight into the personalities and command styles of the leading Confederate figures (especially John B. Magruder) who were charged with the defense of Galveston. The author’s account of the 1863 New Year’s Day recapture of Galveston is the best to date. 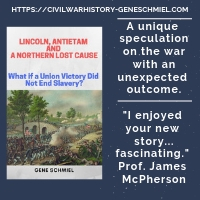 Land and sea operations are recounted with equal skill and the reader is treated in stirring prose to a truly exciting episode in Civil War history. Additionally, the experiences of the men and ships of the federal naval blockade form an important part of the story. The unrelenting pressures on the civilians as they strove to maintain some sense of normalcy are also well chronicled. All along the political spectrum, the town’s struggles in dealing with secession, martial law, and enemy occupation are retold in the book in fine fashion. I would like to have seen a list of military units stationed in and around the city during the war, but that is a minor complaint. Anyone interested in Civil War seaports and coastal operations would do well to read this excellent book. I guess the study of Perryville attracts guys named Kenneth (unlike Dan Rather and Michael Stipe, maybe they understand what the frequency is). This brief comparison of Kenneth Hafendorfer's Perryville: Battle for Kentucky and Kenneth Noe's Perryville: "This Grand Havoc of Battle" is less adversarial in focus and more interested in demonstrating how the two can complement each other. Hafendorfer's book begins with the "Race to Louisville" and basically ends with the conclusion of the fighting. Noe expands his coverage to include a broad background that begins with the siege of Corinth. He also deals with the wounded's grim experience in the fight's aftermath and the Confederate retreat back to Tennessee. Additionally, Noe, whose research net was cast considerably wider and undoubtedly had a great deal more unpublished source material available to him in the 21st century than Hafendorfer did during the 1970s, augments his text with more experiences of lower level officers and men. In his notes, he helpfully points out the instances where his own research and analysis differs with earlier work by Hafendorfer and others. These differences as they related to Hafendorfer are relatively minor. Another nice touch that Noe included is an order of battle with regimental unit strengths (where available) and a listing of the gun types in each battery. In terms of the battle itself, Hafendorfer, with his inclusion of highly detailed maps every few pages, manages to present both the clearest and most detailed battle narrative of the two. Noe's narrative is fine but is hampered by having so few maps and those that are there are spaced so wide apart temporally that they miss key movements and actions. Noe's writing also neglects to provide the reader with the continuous marking of time that is woven into the better battle narratives. All in all, both books are very fine works of military history and complement each other nicely. Noe's placement of the battle in the context of an overall campaign and his integration of newer source material into the battle narrative itself significantly enhance the level of understanding gained by reading Hafendorfer's excellent tactical study. (By the way, the latest catalog from Morningside Books mentions that Hafendorfer's next project is another Kentucky Campaign engagement--the Battle of Richmond. We already have a wonderful treatment of this battle in D. Warren Lambert's When the Ripe Pears Fell, but it will be interesting to see a new interpretation). Kenneth A. Hafendorfer is another avocational historian who writes microtactical battle histories. In this case, the author's education and training is as a physician (hey, the attorneys can't have all the fun with Civil War history). I love Hafendorfer's books because they have everything I like to see in traditional CW tactical histories. This isn't New Military History. Political and social concerns are largely left to other works and what you get is an exhaustive blow-by-blow account of a battle at the micro level (company and regimental level). Traditional military history is heavily criticized but I see no reason why the entire horizon need be covered by one author in one book. A perfect example of this are the two recent Fredericksburg books by Rable and O'Reilly. Read both books and you'll have a far richer understanding than reading either in isolation. Unlike far too many battle histories written today, Hafendorfer's books include a vast number of detailed maps, often at regimental level or below. Generally, maps included in tactical studies should be numerous and original to the work; and depict visual snapshots of the battlefield at as frequent time intervals as possible. When all relevant natural and man-made terrain features are included the reader gets a visual story no less important than the one provided in the text. Hafendorfer's maps also helpfully include elevation lines, an all too uncommonly seen reader aid. Hafendorfer has written five military studies and edited a diary of Louisiana soldier William Trask. Perryville: Battle for Kentucky was the first modern book-length history of that battle. This was followed with They Died by Twos and Tens: The Confederate Cavalry in the Kentucky Campaign of 1862 (OP) and The Distant Storm: Nathan Bedford Forrest's Raid on Murfreesboro, Tennessee, July 13, 1862 (OP). Twos and Tens is a massive study that runs almost 1000 pages and has proven impossible for me to find on the secondary market. Distant Storm has also evaded me as I could not obtain it used at a reasonable price. Mill Springs: Campaign and battle of Mill Springs, Kentucky and The Battle of Wildcat Mountain, Kentucky, October 21, 1861 are two of my very favorite "battle books". Unlike his first effort with Perryville, Hafendorfer's later books much more thoroughly integrate the battle into the larger campaign. I can say without qualification that the Mill Springs book is among the very best of all campaign and battle histories. No book has a better feel for the difficulties of early war maneuvering and fighting with raw regiments. The "you are there" feeling is more palpable here than just about any other CW non-fiction work I can think of and Mill Springs is undoubtedly Hafendorfer's finest effort. I haven't read Michael Forsyth's Red River Campaign of 1864 and the Loss by the Confederacy of the Civil War but comments by other reviewers suggest it is similar in scope to the works of Joiner and Brooksher. Forsyth's main thesis seems to be that historians generally underestimate the consequences of a more decisive Confederate victory, one that was far more likely to occur if Kirby Smith had not diverted his infantry to face the other Union force coming down from Arkansas. Which brings me to Forsyth's companion volume (which I have read) called The Camden Expedition of 1864 and the Opportunity Lost by the Confederacy to Change the Civil War. This book summarizes the course of Frederick Steele's northern prong of the combined Union offensive and the Confederate efforts to thwart it before it reached Shreveport. Forsyth's study is the first book-length treatment of the expedition from origins to aftermath and is important on that score. It also has a fairly good description of the engagement at Prairie D'Ane. The progress of the Union expedition up to the capture of Camden is what is left out of Edwin C. Bearss' far better military study Steele's Retreat from Camden and the Battle of Jenkins Ferry (I believe the softcover edition of this book is now out of print as well). With his usual spare but highly effective style, Bearss provides the reader with a nice overview of the retreat from both sides along with detailed tactical studies and maps of the battles of Poison Spring, Marks Mill, and Jenkins Ferry. Both books complement each other fairly well. Well, this concludes my Red River Roundup. I hope readers will find this list helpful. Of course, these entries are not meant to cite all works, just the most relevant ones that I would rate anywhere from middling to best. My lists will tend to leave out the poorest books dealing with the subject at hand (example here, Curt Anders' Disaster in Damp Sand). War Along the Bayous: The Red River Campaign in Louisiana by William Riley Brooksher is another sub-250 page overview book. The focus is more on military events and less on economic and political subjects, but the level of military analysis and detail provided does not exceed that previously seen with Ludwell Johnson (see Part 1). The influence of Johnson is clearly felt here and War Along the Bayous even uses Johnson's maps (a notable exception is Ted Savas' map of the Battle of Yellow Bayou). It isn't a bad book and is a fine introductory volume, it's just an unnecessary exercise for the experienced reader as it adds little if any original content or analysis. Gary Joiner's succinct addition to the Red River campaign literature "One Damn Blunder From Beginning to End": The Red River Campaign of 1864 utilizes the author's deep geographic knowledge of the Red River valley and of the river itself. Joiner has a background in cartography and geography and it shows. He delves into hydrological details absent in other overviews of this campaign. The discussion of the techniques that Confederate engineers employed to artificially manage water levels as a means of defense is unique. The book also explores the fortifications built for the defense of Shreveport (one of the most important Confederate logistical centers in the Trans-Mississippi) and provides a good map of these earthworks as a visual aid. Unfortunately, the brevity of One Damn Blunder precludes anything but snapshots of the campaign's battles--the descriptions are even shorter than those in Ludwell Johnson's book. Additionally, the battle maps are serviceable, but rather disappointing given the author's cartographic background. All in all, this book is a good overview but also has enough new information in it to justify its purchase even if you already own Johnson's earlier work. Another very worthwhile book dealing with the Red River campaign that also involves Gary Joiner (this time as co-editor with Ted Savas and David Woodbury of a collection of specialist essays) is The Red River Campaign: Union and Confederate Leadership and the War in Louisiana. For such a large (and to me fascinating) campaign, General Banks' near disastrous 1864 combined land and naval campaign up the Red River has garnered relatively little scholarly attention. Amazingly, unlike many far smaller and less significant fights, none of the campaign's battles has a modern book length treatment. What we do have is a number of short surveys, the best of which remains the oldest of them all, Ludwell Johnson's Red River Campaign: Politics and Cotton in the Civil War. Johnson examines the campaign from all relevant angles--military, political, and economic. The battle descriptions are brief and the maps crude, providing the reader with only a minimal but adequate military overview (this is in common with all the subsequent Red River surveys). The book is as its best in describing the campaign's shady and rather disgraceful economic and political origins and how they trumped purely military issues. No one looks good here, from Lincoln on down. I just finished reading a galley proof of a new annotated edition of the Autobiography of Samuel S. Hildebrand, edited by Kirby Ross and published by University of Arkansas Press. Although overshadowed by his colleagues to the west, Sam Hildebrand was a notorious Missouri bushwhacker in his area of operations, mainly the southeast corner of the state. Operating with a small group of followers (and often by himself), Hildebrand and his rifle "Kill-Devil" were a terror to local Unionist civilians, Vigilance Committee members, and Missouri militiamen. Although three of his brothers were murdered, Hildebrand managed to survive the war only to be killed attempting to escape from court officers holding him on assault charges. Hildebrand's memoir was published in 1870 and was ghost-written/edited by James W. Evans and Dr. A. Wendell Keith. Readers have a right to be skeptical of a bushwhacker self-apologia that contains often outlandish claims and is so loose with dates and time frames, but what makes this new edition worthwhile and important to the study of the Civil War in SE Missouri are the exhaustive notes researched and compiled by editor Kirby Ross. In his notes (which comprise nearly half the book), Ross takes the claims made by Hildebrand in his book and examines their validity using evidence from all available viewpoints. It is not unusual to see the author spend several pages on a single citation, providing extensive background context and excerpting articles, military reports, and letters from all sides that either support or contradict Hildebrand's story. It is an impressive effort and I actually enjoyed reading the notes more than the autobiography itself. Look for it in November. The war in SE Missouri is a bit of a scholarly black hole, but authors like Kirby Ross look to be hard at work rectifying this. Another work of note by this author is the brief but well-researched book Battle at Jackson Fairgrounds. You can read it online here at the excellent Civil War St. Louis website. If you scroll down to the bottom of the homepage in the special collection section you can also find some of Ross' articles dealing with the various Missouri militia units created during the war. Terry Lowry is another West Virginian and avocational historian who specializes in the Civil War history of his native state. Besides contributing two volumes (22nd Regiment and 26th Battalion) to the Virginia Regimental Histories Series published by H.E. Howard, Lowry has written three exceptional battle histories. At its heart, The Battle of Scary Creek: Military Operations in the Kanawha Valley, April-July 1861 is a microhistory of the titular July 17, 1861 "battle" (it was more like a skirmish) that pitted Lt. Col. George S. Patton's Confederate force against the 12th Ohio's Col. John W. Lowe. The battle was a Confederate victory, but the joy was short-lived and the overall campaign resulted in the Union occupation of the Kanawha Valley. The 1998 revised edition of the book includes a number of maps, letters, reports, and newspaper articles to accompany the text. In addition to being an excellent battle study, Scary Creek is a detailed history of the entire spring and summer Kanawha Valley campaign. September Blood: the Battle of Carnifex Ferry (OP) is another highly recommended tactical battle study. It details both the affair at Cross Lanes (a fight in which General John B. Floyd's larger Confederate force surprised and scattered the Union 7th Ohio north of the Gauley River) and the later battle it helped to spawn at Carnifex Ferry on September 10, 1861 against a reinforced Union force commanded by William S. Rosecrans. Carnifex Ferry was another tactical victory for Floyd but a strategic defeat as the Confederate general's fortified defensive position could not be held. Last Sleep: The Battle of Droop Mountain November 6, 1863 recounts Union general W. W. Averell's November 1863 diversionary cavalry raid, the goal of which was to damage the Virginia and Tennessee Railroad near Lynchburg or Dublin, Virginia. Averell did not achieve this objective but he did soundly defeat a Confederate force commanded by John Echols at Droop Mountain on November 6, 1863. All of Lowry's battle studies are microtactical in nature--detailing the fighting at company and regimental level. Large numbers of period and modern photographs of the landscapes and men populate his books. Maps and discussions of the state parks associated with the latter two battles are included as well. On the negative side, as with the works of Tim McKinney, the number and quality of maps in Lowry's books are a bit disappointing. Although the period maps included are detailed and allow the reader to follow the action, tactical studies really need maps original to the work in order to fully integrate visual aids with the text. All in all, these works are excellent contributions to the West Virginia Civil War literature and are likely to remain definitive for some time to come. The best military survey of the Civil War's first year in the area that later became the state of West Virginia remains Clayton Newell's Lee Vs. McClellan: The First Campaign (W. Hunter Lesser's more recent book Rebels at the Gate treads similar ground, but, in my opinion, it's a narrative history that doesn't further our understanding of the campaign enough to recommend it over Newell). Lee Vs. McClellan appears to be out of print currently but a number of copies are available on the secondary market. More general works aside, readers wishing to delve even deeper into the 35th State's Civil War experience will do well to examine the work of authors Tim McKinney and Terry Lowry. 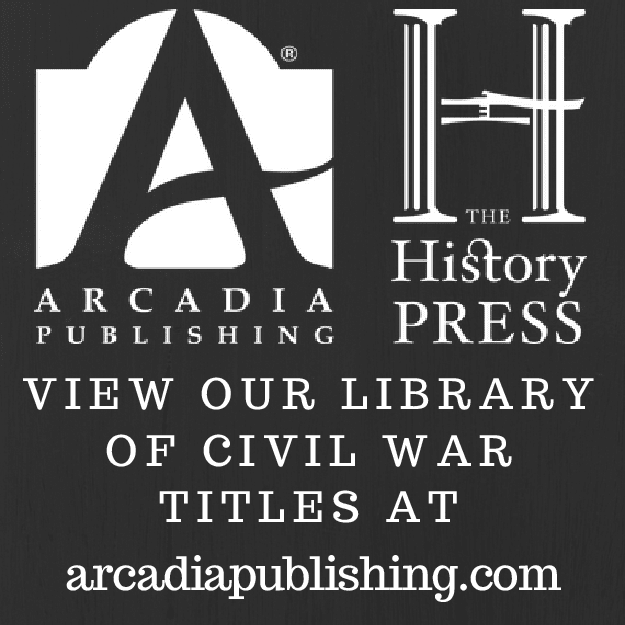 McKinney has seven Civil War West Virginia publications to his credit, including a hefty West Virginia Civil War Almanac (vols 1 and 2) that brims with primary source material. His two county histories are equally notable. The Civil War in Fayette County West Virginia (OP) and The Civil War in Greenbrier County West Virginia are at their core even-handed and well researched military histories of the campaigns, battles, and skirmishes fought within their borders. The former contains a highly useful overview of the September 10, 1862 Battle of Fayetteville and W.W. Loring's subsequent reconquest of the Kanawha Valley, while the latter details the Battle of Lewisburg, correcting several errors from previous accounts. On the subject of Loring's campaign, it was very interesting to read of a rather forgotten companion to the more famous 1862 Confederate summer offensives that tapped out at Perryville, Antietam, and Corinth. However, the civilian experience in these counties is far from ignored and cultural landmarks (such as the White Sulphur Springs Hotel resort) are frequently featured. My only major complaint is the lack of adequate maps in both works. Many writers of county histories don't seem to take into account the fact that there are readers from other parts of the country that are interested in the subject but understandably are entirely unfamiliar with the forests, creeks, roads, and towns of a particular county. By the strange inner workings of the rumor mill, it was assumed by many readers familiar with his work that author David C. Edmonds was deceased. Happily, the man himself put that error to rest recently in a posting on the "Louisiana in the Civil War" messageboard. David Edmonds is the author of several works dealing with the Civil War in Louisiana, perhaps most notably his definitive two-volume military history of the Port Hudson campaign Guns of Port Hudson. His books are well researched, minutely detailed in military matters, and are stocked with large numbers of serviceable maps. Unfortunately, hardback editions are long out-of-print and remain difficult to find on the used book market. If you can find a volume two (and I can't), count yourself extremely fortunate. However, the good news is that the Center for Louisiana Studies has very recently reprinted a paperback edition of Edmonds' Yankee Autumn in Acadiana. Yankee Autumn deals with General Nathaniel Banks' 1863 fall and winter Texas Overland Campaign. To summarize briefly, a Union army under the operational command of William B. Franklin advanced up Louisiana's Bayou Teche with the ultimate goal of invading East Texas. Although it never reached the Lone Star State, the huge Union force nevertheless devastated the region's infrastructure. Like Guns of Port Hudson, Yankee Autumn is much the traditional campaign and battle study but it also mines mountains of disparate primary source material in order to delve deeply into localized issues of race, economics, and social disruption. 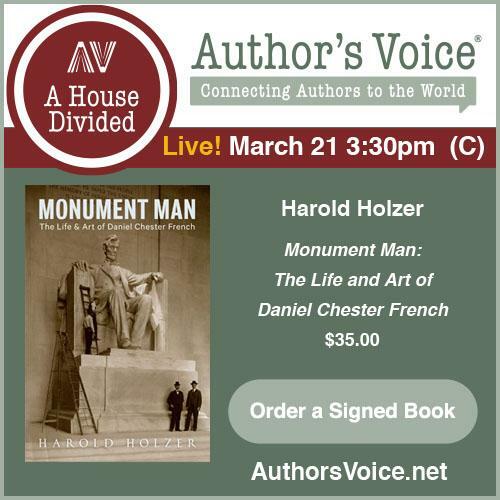 Readers looking for a book-length, scholarly (and hopefully coolly objective) study surrounding Nathan Bedford Forrest's April 12, 1864 assault and capture of Fort Pillow and its aftermath will have two to chose from very soon. Andrew Ward's River Run Red: The Fort Pillow Massacre in the Civil War has a late September release while Professor John Cimprich's Fort Pillow, A Civil War Massacre and Public Memory will be available a week later from LSU Press. Undoubtedly, both are at least a little chagrined to have to go up against each other right off the bat! From their book descriptions, both works appear to attack the subject from multiple angles, expanding their coverage beyond the central theme of racism to include other crucial issues not fully developed in other studies of Fort Pillow. Discussion of the Union administration of occupied West Tennessee and the internecine conflicts between local Unionists and Confederates will undoubtedly help to provide readers with a more complete picture of the complex motivations behind the hatred and desire for vengeance that was directed against Fort Pillow's multiracial garrison. Whenever the consensus behind a significant Civil War event has reached the point that the footnotes pertaining to its background in subsequent works merely cite secondary works that only reinforce the consensus, then it is always welcome when some hardy soul attempts a new assessment. These revisionist assessments range from unconvincing (ex. much of Alan Nolan's Lee critique) to eye opening (ex. Russel Beatie and David Detzer on Robert Patterson). Conventional wisdom states that an aged and overly timid Robert Patterson was ordered to vigorously fix General Johnston's Shendandoah Valley force in place so that it could not escape to reinforce General Beauregard's army at Manassas. Patterson failed to do so and Johnston's reinforcements played a crucial role in the subsequent Confederate victory. Most historians place the lion's share of the blame for this squarely on the doorstep of poor old Robert Patterson. However, most recently, David Detzer's Donnybrook and Russel Beatie's Army of the Potomac: Birth of Command have convincingly made the case that the greatest blame should rather be attached to General Winfield Scott, whose orders to Patterson and constant declawing of Patterson's army simply did not allow for the aggressive advance that historians so vehemently criticize Patterson for not undertaking. Coming back to the present, the current Fall 2005 issue of Blue and Gray Magazine just so happens to feature this campaign and the Battle of Falling Waters. I haven't had the opportunity to read it yet, but it will be interesting to see what tack author Gary Gimbel takes. Greetings and thank you visiting my new web log dealing with Civil War books and publishing. My name is Drew Wagenhoffer and I am an avocational Civil War enthusiast, researcher, and book reviewer whose primary interest lies in battle histories of the West and Trans-Mississippi theaters of the American Civil War. This blog's main feature will be discussions of the Civil War books, authors, publishers, and booksellers that interest me. Additionally, I plan to frequently feature many of the deserving books from smaller presses that are never reviewed in print or electronic media and briefly profile underappreciated authors and publishers.